If you go North from Shoreditch High St, up the Kingsland Rd, under the railway bridge, and turn immediately left down a tiny nondescript alley, you come to a metal door without any sign, that is the entrance to the secret world of Rupert Blanchard. Here you will find many wonders. You ring the bell and wait patiently for a while, and then you hear footsteps inside before the door opens and a skinny young man with a long nose and lanky hair leans out, clutching his black cat, and smiles amiably. This is Rupert. Step inside and find yourself in what was formerly part of the Shoreditch Police Station and latterly a furniture factory, and currently the workshop, store and dwelling of Rupert Blanchard. 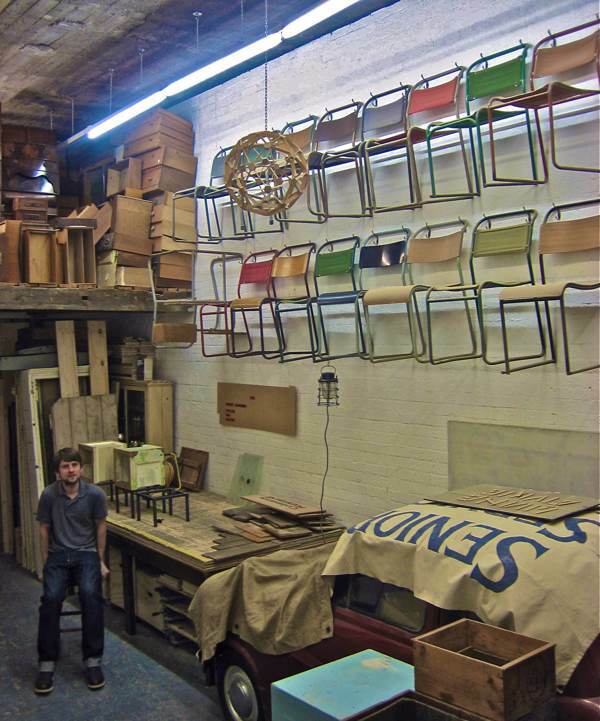 Up on the wall are prized specimens of Rupert’s tubular chair collection, displayed in the way that others show hunting trophies. Turn and observe Rupert’s collection of errant drawers that have lost their siblings, all stacked up neatly. Step into the next room and admire Rupert’s collection of screen-printed milk bottles artfully arranged upon a roof beam. Beyond you will find a smaller room, with further collections stacked upon shelves. It goes on and on, like the opening shot of Citizen Kane. 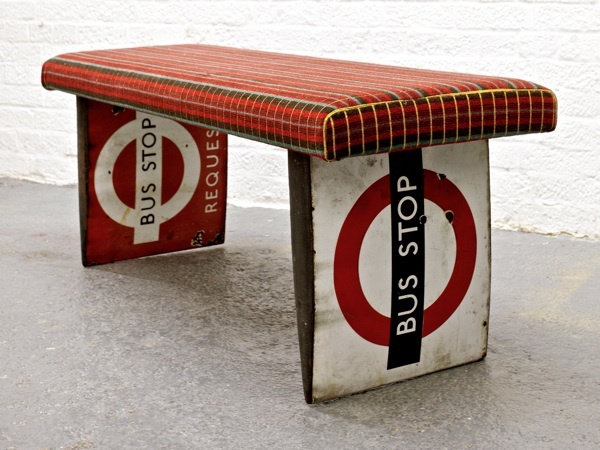 Rupert has developed a trained eye for the beauty of the disregarded and, as a consequence, lives at the mercy of his compulsion to hoard it, taking him to at least three car boot sales a week and connecting him to an elaborate network of scavengers, junk dealers, house clearance people, skip raiders and demolition workers. “Time will run out before the rubbish does,” he pronounced, pulling a long quizzical face, shaking his head and crossing his arms in bewilderment at his crazy hoarding instinct. Yet everything here is wonderful in its way, and Rupert has found means to give new life these artifacts once their original incarnation is defunct. There is both poetry and humour in Rupert’s work, which plays upon the tension between an appreciation of the soulful nature of the material and the contemporary sensibility of his conception. And, there is an elegant conceit to his whole endeavour. 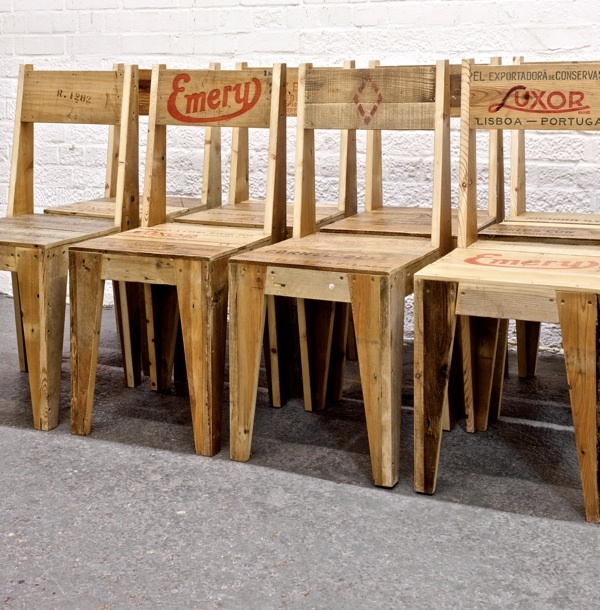 Based here in this old furniture factory, and working with metalworkers and woodworkers based in the East End, using salvaged timber – much of which is from the East End – he has created a new industry producing appealingly idiosyncratic furniture, shop fittings and interiors to fulfil an ever-growing demand. 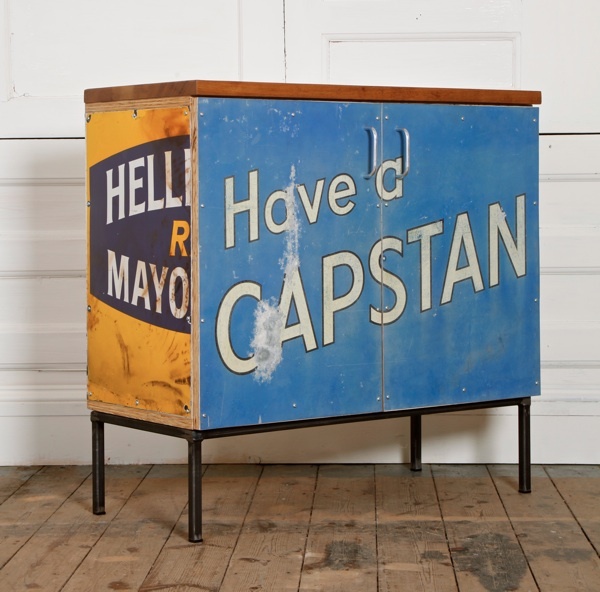 The inspired anarchy of Rupert’s sensibility is irresistible to me, and I especially like the cabinets laminated with fragments of old enamel advertising signs. 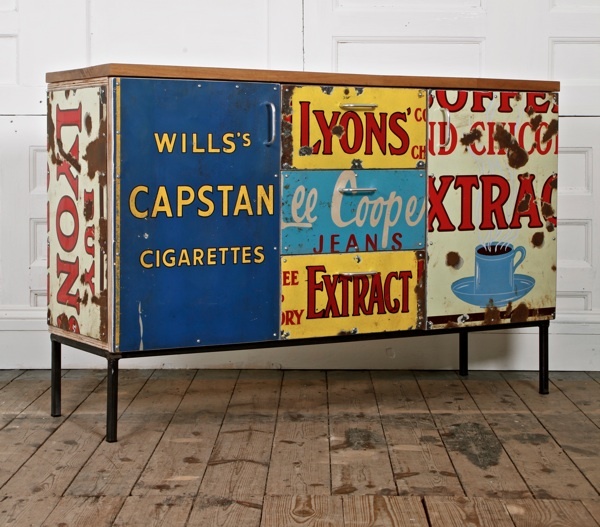 Some were found patching up holes in leaky barns, others had been cut in pieces and were discovered in scrap yards and markets, none were in a condition to be of interest to collectors. 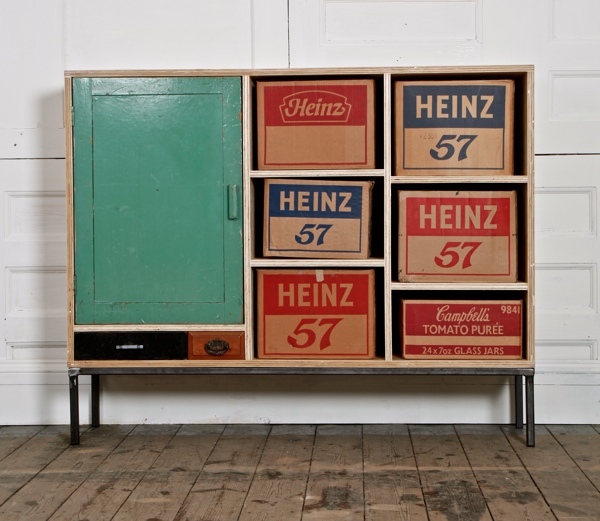 Rupert built these cabinets from the recycled plywood that is the basis of most of his furniture, which comes from hoardings around building sites, providing a plentiful supply in the East End. 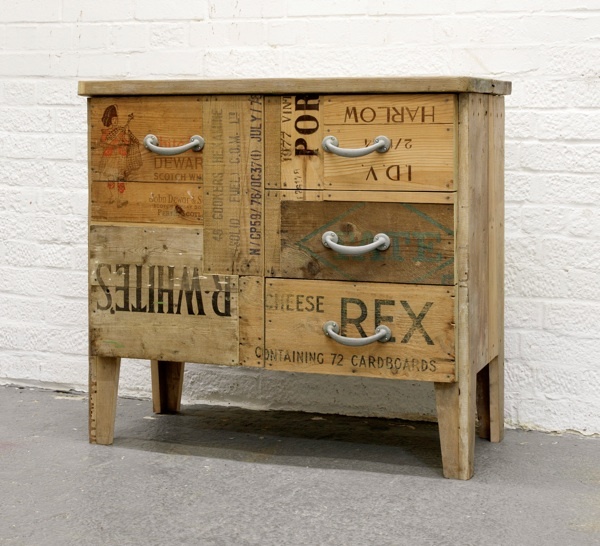 The tops of the cabinets are teak reclaimed from a school science lab, still with its graffiti and marks that evidence its use – and even the hinges and screws are recycled from other furniture. 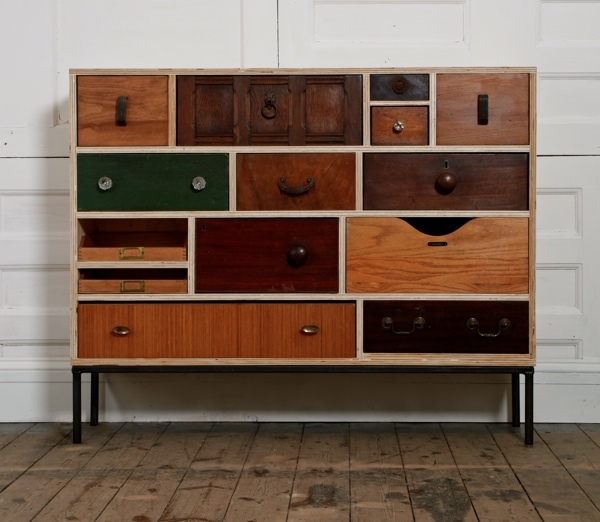 Everything that Rupert collects becomes a potential piece of a puzzle, just waiting to be reassembled in an unexpected new way to create unique furniture which declares the eclecticism of its origins. He has just completed a refit of Ally Capellino’s shop in Calvert Avenue and his work is more in demand than he can supply, yet in spite of Rupert Blanchard’s success, I do get the feeling that it is all an elaborate excuse for him to pursue his first love – trawling Outer London car boot sales for the lonely drawers and broken doors that are his unlikely passion. 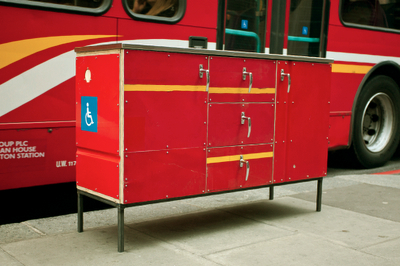 Cabinet made from scraps of aluminium sections of a decommissioned London bus. Beautiful pieces he’s making from the things other people throw away or see no value in. I love the one with lots of different draws. I knew he looked familiar…Rupert sells odd pieces on Ebay & I have an ancient & very useful set of pigeonholes on my wall which I collected from his Kingsland Rd warehouse a few months ago. I could have spent hours pootling around in there! 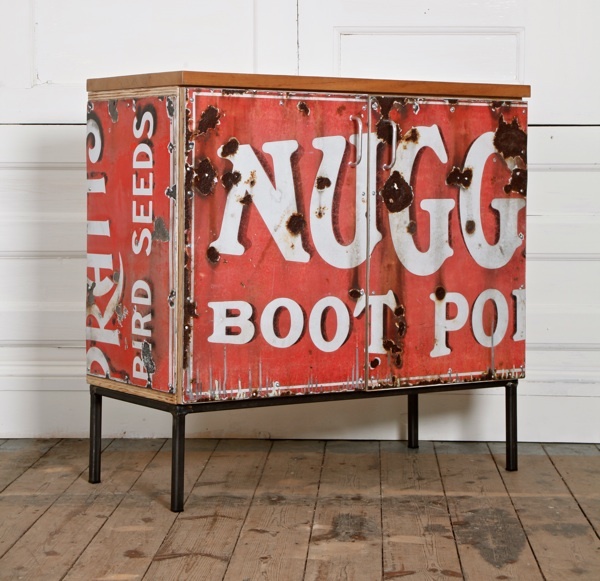 i’ll have the nugg boot po bureau, thank you very much. i love this reclaimed lumber stuff. these young ladies travelled across america, eponymously from brooklyn NY to west, gathering reclaimed lumber in their uhaul truck to build out an italian restaurant in california. i think both you and rupert would love their transcontinental wood-gathering story. I used to live next door to Rupert when I was a student. There was a gallery behind those shutters. Some brilliant exhibitions. We haven’t spoken in years, but Rupert is one of my favourite people on earth. In Brazil in the favela i used to make my toys out of oil cans and bottle tops. 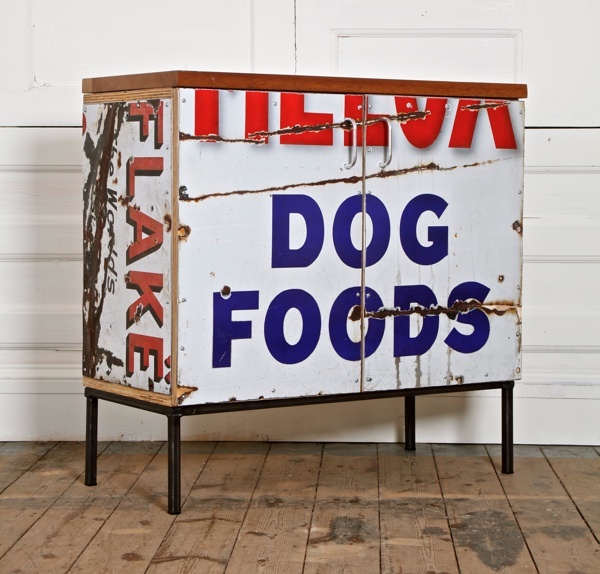 Seen this furniture made out peaces and beets you can find in junk sale is away very much inspiring! The sidebar (photo #2) is really marvelous — original and deeply beautiful. Can anyone tell me where these car boots are? I used to go to loads out of town, but since I’ve moved to London, I really miss them! Hi, how do I go about purchasing some of your stuff.? 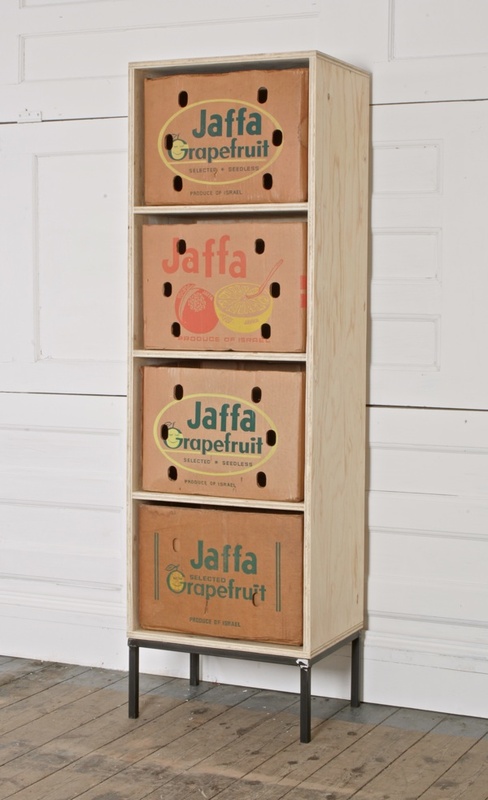 I live in Liverpool and have been looking for a home for old wood. I am hoping you may be interested. I have a moderate quantity of wood that was originally in a school, built in 1912. It is all English oak, well over a century old. Give me a call if it is any use to you.